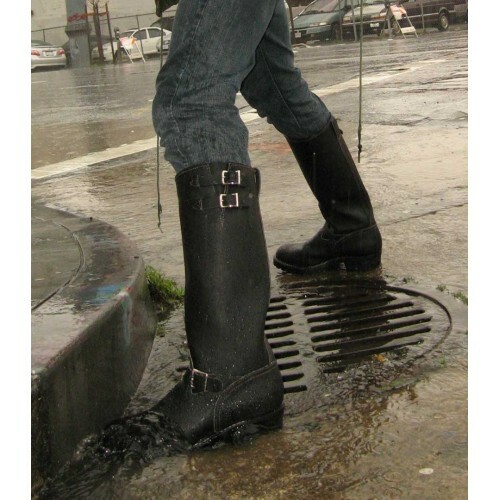 The Wesco 16" Boss boot in black is a prime choice for both motorcycle riders and workers of all different occupations. 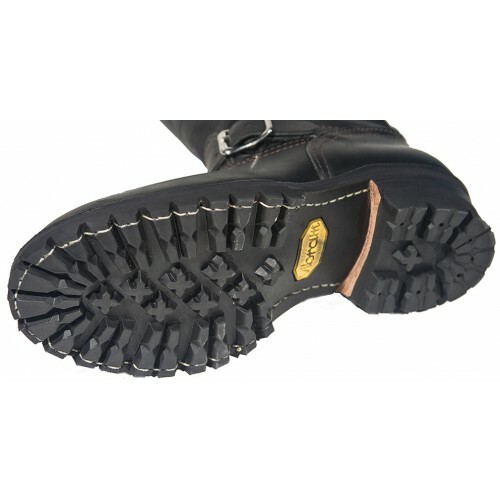 These medieval, leather boots come with a 100 Vibram lug sole, which gives you great traction. The work place(as well as the road) can be a hazardous place at times. This lug sole will make sure you don't slip in any oil or lose your footing while shifting gears. The 16" height is great for those of you who want a taller boot that will protect your feet and legs while looking really good at the same time. These engineer boots are built to be comfortable as well. They are leather-lined on the inside, so you can look good as well as feel good in these Wescos. 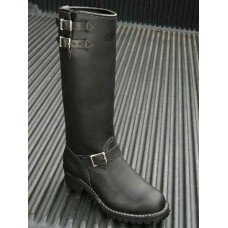 This non-steel toe boot also has two top straps and nickel hardware. Walking(or riding) every day can wear on your feet, ankles, and arches. With that in mind, Wesco added PORON performance shock absorbing, removable cushion inserts. Aching ankles will be a thing of the past for workers who toil away all day and put a lot of strain on the feet and legs. A steel shank is also added to reduce the stress on your feet, giving relief to all those who are tired of constantly having to switch into sneakers by the end of the day. To top it all off, this boot also comes with a sweat resistant insole for those of you self-conscious about your sweating. This is great for those working out under the sun all day! Whether you are working in the mechanic shop, ride a bike, or just enjoy the look of the engineer boot, this boot will satisfy your needs! 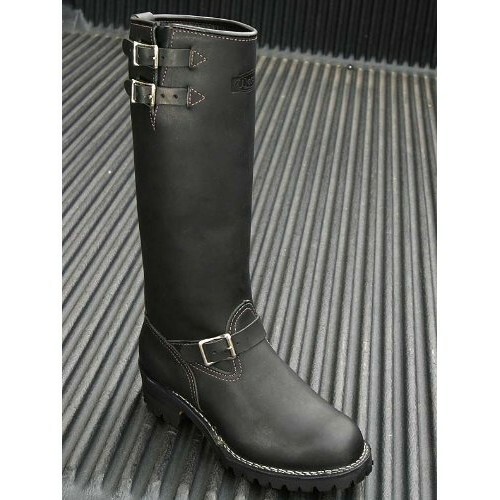 If you are looking for a shorter boot, try out our 11" Boss!